Looking for Christian reading material, DVD's, or CD's? Our church library (the Geuther library) has all of these! You will find items for adults and children -- over 1,000 total. While our library does serve as a main meeting room, it also contains resources just waiting to be explored. 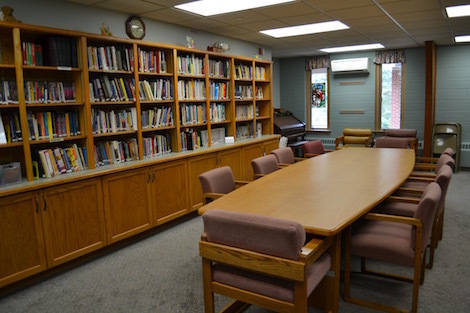 The Geuther library is available for exploring and checkout of items before and after church services as well as during regular church office hours. Click on the link below to access the online database.